This beautiful 14k solid yellow gold cross pendant is reminiscent of the crown of thorns our Lord had to suffer before his death and resurrection into eternal life. 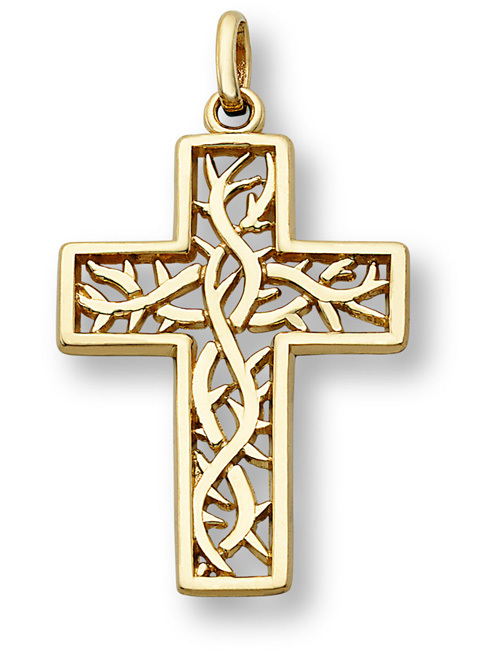 A unique and high quality 14k yellow gold cross pendant. We guarantee our Crown of Thorns Cross Pendant, 14K Yellow Gold to be high quality, authentic jewelry, as described above.